YouTube Premium and Music Premium are continuing their slow global expansion — though to be honest, they seem to be doing it at a rate faster than Google Play Music ever did. The latest addition is one of the world's largest countries in both surface and population, Brazil. If you're an Android user in Brazil, first up, Olá!, and second, you're one of the lucky people who can access YouTube Music (free and premium) and YouTube Premium now. YouTube Music is the spiritual successor to Google Play Music (GPM), offering music streaming and recommendations. When it launched, it was missing a lot of features, but it has been quickly catching up to GPM. The service is free with ads, but you can subscribe to Music Premium to avoid those ads and enable offline downloads plus background listening. In Brazil, it will cost R$ 16,90 for one user or R$ 25,50 for a family account with up to six users. If you also want to remove ads completely from videos, you need YouTube Premium (previously Red). It offers the same benefits as Music Premium but also brings the ad-less experience to videos, plus offline downloads, background playback, and access to YouTube Originals. The service will cost R$ 20,90 for one user and R$ 31,90 for a family of six. I don't know a lot about the buying power of the Brazilian Real, but at the current exchange rate, those seem to me like very seductive prices. 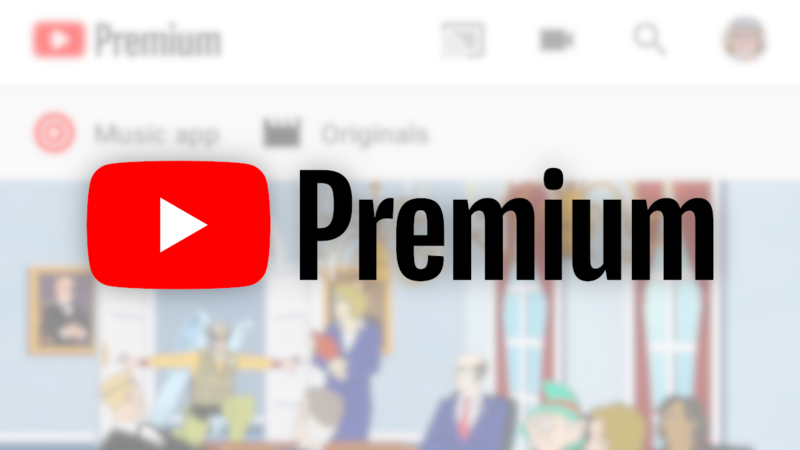 The most expensive plan, YouTube Premium for families, is less than $8, which is still a couple of bucks less than Music Premium for one person in the US.